In the first five weeks of 2019, the CGA will have added three new full-time staffers. And in two of the cases, the association is going back to the future. And there’s Jacob Erisman, who on Jan. 10 started as the CGA’s director of junior competitions, a position that was previously held by Ashley Barnhart, who was promoted in the fall to managing director of golf operations. Erisman did a summer internship with the CGA in 2013, and for the past 2 1/2 years has worked as a tourament director for the American Junior Golf Association, where one of his responsibilities was overseeing the AJGA Hale Irwin Colorado Junior, working closely with the CGA and the Junior Golf Alliance of Colorado. 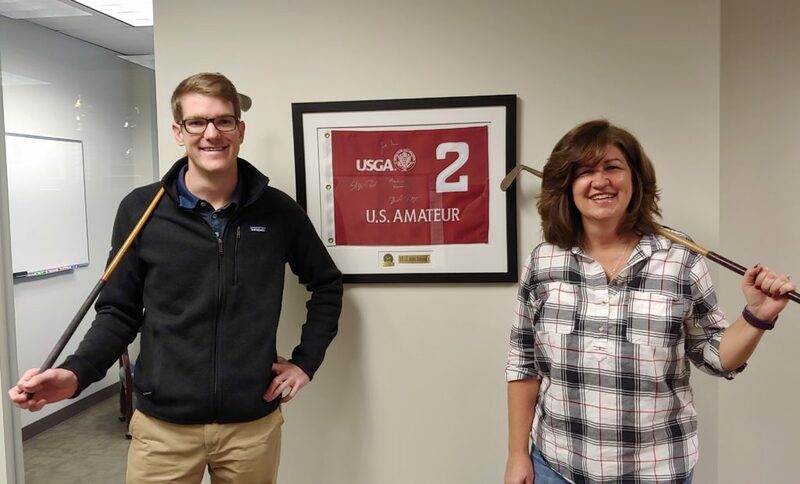 The third newcomer, who started with the CGA on Jan. 7, is Kim Bussey, the association’s manager of administrative services, who executive director Ed Mate describes as an administrative “utility infielder” who will spend considerable time on Junior Golf Alliance of Colorado matters. Bussey joins the association after spending 32 years in the insurance industry. And there’s one other staff-related change, though this one isn’t an addition personnel-wise, but to a title. That’s for Mate, who’s been the CGA’s executive director since 2000. As of the start of the year, he’s added chief exective officer to his exective director title. “Part of the need is somebody who is looking at the organization from 30,000 feet, and looking at it from the inside but with an outside view, saying how does our golf association interface with the community as a whole — golf community, the city of Denver, the Front Range, the state of Colorado?” Mate said recently. These latest changes regarding the CGA staff conclude a very active period in that regard that started with the integration of the CGA and the CWGA — which officially took place on Jan. 1, 2018. Over that period, the CWGA staff joined the CGA staff. Then in the final several months of last year, three staffers retired — Ann Bley (director of finance), Laura Robinson (managing director of membership and integration and formerly the CWGA’s executive director) and Gerry Brown (director of course rating and handicapping). And now we have the three aforementioned additions to the staff. “For an organization that generally does not turn over people, it’s a little different, but it’s fun,” Mate said. The impending addition of McCleary — and of a chief business officer position in general — is particularly newsworthy. McCleary (left) — who has worked for the city of Aurora for almost 29 years, most recently as stormwater operations superintendent — has played an integral role on many fronts for the CGA in the new millennium. He was a driving force — at the time as the head golf course superintendent at Saddle Rock Golf Course — in the 2002 economic and environmental impact study of golf in the state of Colorado during a period of drought in the state. He was one of many people who played behind-the-scenes roles regarding the building of CGA-owned CommonGround Golf Course and he helped in the recovery process following the major damage caused by the 2013 flooding. And, he and then-CWGA president Juliet Miner, along with Mate and Robinson, spearheaded the work to integrate the CGA and the CWGA. McCleary and Miner, who had served as presidents of their respective organizations for two years (2016 and ’17), both agreed to be co-presidents of the CGA in 2018, the first year following integration. McCleary was seeking a new challenge, occupationally, and thought the CGA was an ideal fit given his long background with the association and how much he’s enjoyed helping achieve its mission — to represent, promote, and serve the best interests of golf in the state. And the job opening came at the right time, as McCleary first wanted to complete his commitment as the volunteer co-president of the association, which ran through the end of 2018. “It’s an incredible opportunity and I don’t think I can tell you how much I’m looking forward to it,” McCleary said last week. “It’s good to get back directly in the golf business. I think it’s a perfect way to use lots of my knowledge from being a CGA volunteer and from those years of being a golf course superintendent too. McCleary’s diverse background makes him a good fit for his new position. Besides his volunteer work for the CGA over the years, he was the first superintendent at Saddle Rock, holding that position even as the course started being built in the mid-1990s, and when the facility hosted the Colorado Open three times (1998-2000). He served as president of the Rocky Mountain Golf Course Superintendents Association in 2005 and helped create the RMGCSA foundation. He also has been part of the city of Aurora’s retirement board for the last four years. In his current position in stormwater operations, he manages a staff of 30 people and an annual budget that exceeds $3 million. The responsibilities of the CGA’s chief business officer include overseeing human resources, information technology, office infrastructure, finance, contracts, CommonGround Golf Course business oversight, course rating and handicap oversight, GHIN software/customer support, and club and facility training and education. “I think I understand the golf course from a variety of different levels,” McCleary said. “I really think the diverse experiences I’ve had — not only as a volunteer but working for the city of Aurora — are well-suited to all those responsibilities. The biggest challenge — something I’ve had a little insight into but no really experience at — is the course rating aspect. I know (the job responsibilites) are a pretty expansive list. But there’s a huge amount of talented support at the CGA to get these things done too. It’s important to use your resources. “Ed and I and the staff have always had a really strong working relationship. We worked as partners to accomplish a lot of the tasks over the last three years and had to work together as it related to CommonGround, the reconstruction of the golf course and all the programs that happen out there. Besides all of McCleary’s experience — with the CGA and elsewhere — Mate thinks his background as a course superintendent will play out as a big positive for the CGA staff. “Joe is kind of a Renaissance man of golf,” Mate said. “He’s a certified golf course superintendent. 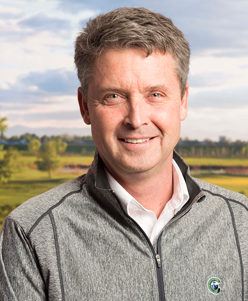 He’s got an MBA from the University of Colorado-Denver, (and) he’s been a leader in every organization he’s been a part of, whether it’s the city of Aurora, the CGA, or the Rocky Mountain Golf Course Superintendents Association. We’re so very fortunate. In fact, Erisman grew up near Golden and graduated from Mullen High School. While playing golf for the Mustangs as a sophomore, Erisman finished second in the 2004 4A state high school championships — one shot behind Tom Glissmeyer, who had qualified for the U.S. Open the previous year. Speaking of U.S. Open qualifying, that’s where Mate first encountered Erisman — a meeting both remember to this day. It was about 13 years ago at Buffalo Run Golf Course, and it was far from Erisman’s best day of competitive golf. He recalls shooting 89, while Mate remembers something in the 90s. In any case, while some competitors who have such a round might be tempted to no-card so they won’t receive a letter from the USGA prohibiting them from attempting to qualify again the next year, Erisman dutifully turned in his card. In fact, Mate remembers him meticulously checking his hole-by-hole scores while in the scoring area. And then Erisman shook Mate’s hand and thanked him before departing. The situation made such an impression on Mate that he later followed up by sending a signed letter to Erisman’s parents “commending them on what an outstanding young man they had raised and how impressed I was,” Mate recalled recently. Erisman, who now owns a 5.1 USGA handicap, kept and cherised that letter for a long while, and still may have it today in a storage locker somewhere. And now, that high school kid that made such an impression will be working for the CGA — and Mate. And he’ll be doing so in a capacity in which he’s very familar — interacting with kids. That’s something Erisman, 29, has been doing his entire adult life. After receiving a Masters degree in secondary education at Stanford, he returned to Colorado and taugh social studies at Legend High School in Parker for a couple of years. After that, in 2016 he joined the staff at the AJGA, where he traveled to 15-20 tournaments a year, including six annually where he was the tournament director. The latter includes the last two years at the AJGA Hale Irwin Colorado Junior, held at Walnut Creek Golf Preserve. “Teaching is always something I’ve really enjoyed,” Erisman said. 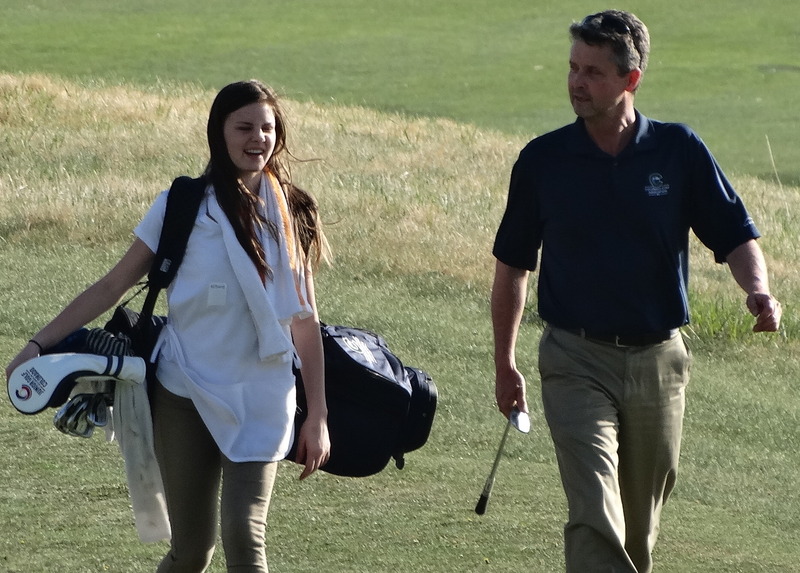 “I feel like I can relate to junior golfers and feel a connection to junior golf because I grew up playing junior golf competitively and played a couple of years in college. I also like to see the progression of juniors. You get to know them for a couple of years and get to see how their games improve. To see those who have a goal of getting college scholarships reach that goal is really fulfilling. Then there’s the aspect of teaching not just the skills of golf, but helping them understand the values of the game, the rules of the game. The overall growth and development of juniors is something I enjoy as well. And coming home — both his parents still live in Colorado — certainly didn’t hurt. However it worked it, Mate considers the CGA fortunate to have Erisman on the staff. “He’s just an amazing person,” Mate said. “We’re lucky to have him. I think he loves to be back in Colorado, he loves junior golf, and he’s a born teacher. I think he just loves being around kids. Regarding Bussey, as Mate said she’ll be playing key roles in general administration, but especially regarding the Junior Golf Alliance of Colorado. “She’s really going to be the administrative backbone of the JGAC as well, which we really need,” Mate said. Bussey indicated she’s happy to be working in the golf industry after more than three decades in the insurance business. Overall, Mate is happy with how the recent staff additions and changes have played out.